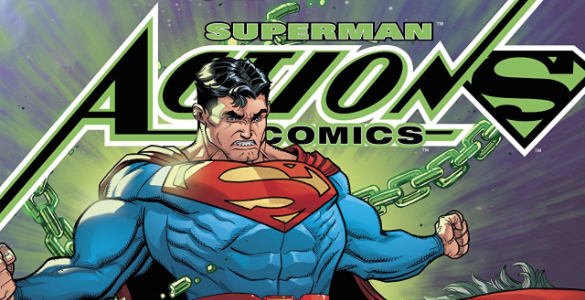 While I’ll probably always question the decision to bring Jor-El back, I actually admire the way the past few issues of Action Comics have used the character. Jor-El has a small, but famous, history — being betrayed by his fellow Kryptonians and sending his son to Earth in a rocket — and Dan Jurgens and Viktor Bogdanovic wisely lean into those traits with all their might, making Jor-El a man blinded by the betrayals and cruelty he’s faced, and who just wants to continue protecting his son from the predicted end of yet another world. It works so well, it makes it all the more tragic that Action Comics 991 undermines the whole thing. 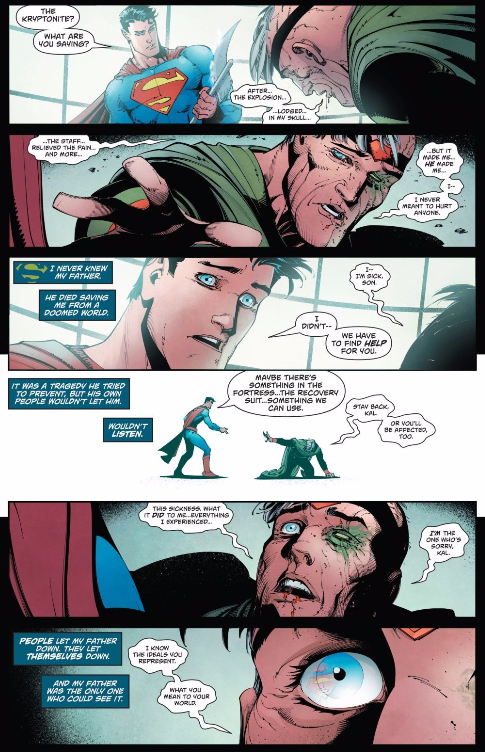 There’s some smart and even beautiful moments in this issue, from Jor-El’s harsh realization that his attempts to protect Clark have just been hurting him to the embrace between father and son to the loss of Jor-El, with Clark’s heartbreak echoed in the painfully blank viewscreens that line the wall behind him. Yet Jurgens and Bogdanovic undermine all that hard work by revealing some form of “manipulation” behind Jor-El’s actions (no doubt stemming from whoever “rescued” Jor-El in the first place; I’m still assuming that’s Doc Manhattan until proven otherwise). It’s a revelation that pulls the rug out from under the readers, and not in a good way. Why take so much time building up a believable backstory and motivation for Jor-El’s heel turn only to bring it all into question? Was any of what we saw about Jor-El real? How extensive was this manipulation? Wouldn’t Jor-El’s final moment of belief in his son feel so much more powerful if it was actually triggered by Clark’s heroism, rather than the breaking of a spell? It’s a move I can’t quite wrap my head around, one that retroactively makes the entire arc feel much more muddled and pointless. I get the distinct impression that Jurgens and DC wanted to leave themselves an out so that they didn’t sully the name of Jor-El too much, and I just can’t rally behind that. If you’re gonna bring back Superman’s father and build him up as a villain, commit to the idea. Jor-El and Lara were the first characters with baby Kal appearing in the original multimillion Dollar worth copy of 1938 ACTION #1! Will the El couple somehow appear again with adult Kal in a $4 worth 2018 copy of ACTION 1000??? Let’s hope the best for the Kryptonians during the next year!! 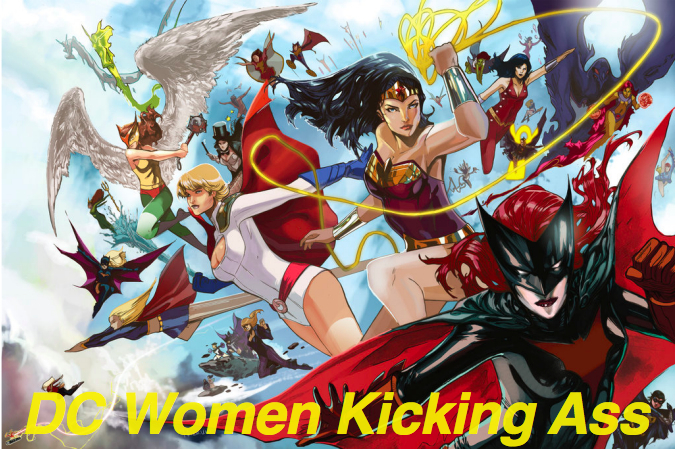 After last issue, this book no longer deserves coverage, positive or negative.